For more than 40 years, Ed Video has supported the development and creation of independent film, video, and media by helping emerging and established artists. As a small organization, Ed Video works tirelessly to support 100s of artists. This is done by offering low-cost access to professional and industry equipment, showcasing the work of artists, offering workshops to artists at all skill levels, and through outreach to under-served groups. Right now we are researching how to better serve the d/Deaf community, developing a youth workshop group, and finding pathways to support Guelph’s growing refugee community. Over the last year, we moved our offices from one side of 404 York Road to a more effective space in the same building; supported over 300 works made through the centre; continue to boast an active membership of 170+ individuals and organizations; and, present work locally, nationally, and internationally. 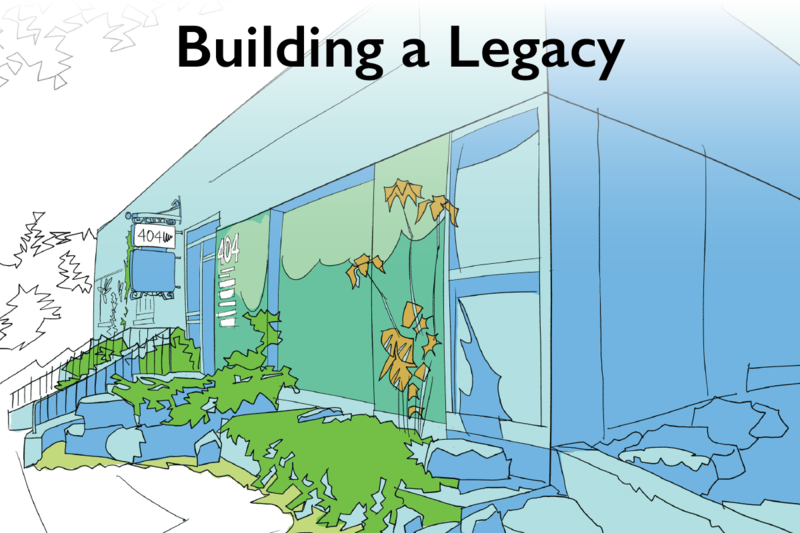 We are embarking on our "Building a Legacy" campaign to purchase of 404 York, a move that would help Ed Video further cement its future in the city of Guelph. Your support has made all the difference. Funds from our community have purchased equipment and have provided countless opportunities for artists, audiences, educators, and patrons to engage in the arts. As a charity, we believe in the power of media arts, and this giving season, we are asking you to help us as we continue to grow these important relationships. Your contribution of $50, or any amount, big or small, will help us as we work to expand our reach and improve the community in which we live, work, and play. We’d love to see you if you prefer to give in person, but you can also donate online below with the CanadaHelps Donate Now button or mail us a cheque at our address below. Thank you for supporting Ed Video and the 100s of artists who are working to tell their unique story. To make a one time or recurring donation to our Building a Legacy fund use the form below.